Undercliff was conceived by Elizabeth Harris with the final appearance and production process developed by Michael, Timothy and Jonathan Harris. New Undercliff was designed by Timothy and Jonathan Harris. Undercliff: Summer (1987-1997); Winter (1987-1997). Undercliff: Sunrise (1989-1991); Sunset (1989-1991). New Undercliff: Day, initially called 'Daytime' (1998-December 2012); Night (1998-December 2012). Undercliff 'Summer' vase, 30 cm tall and 22 cm diameter at the widest point. This vase was made and presented to a local Isle of Wight charity by IOWSG in 1994. 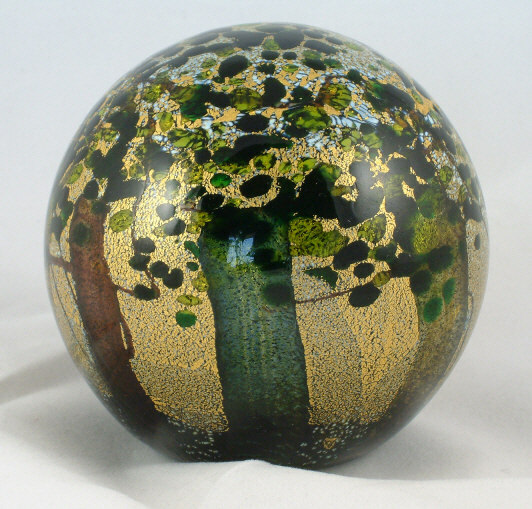 Undercliff 'Summer' round paperweight, 7.5 cm in diameter. It was made and presented to a local Isle of Wight charity by IOWSG in 1994. 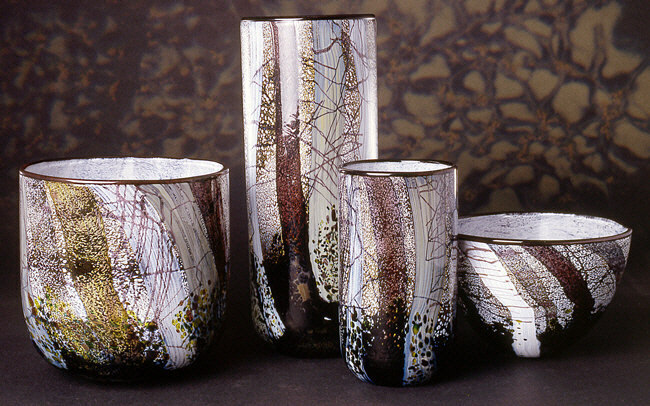 Pieces from the Undercliff 'Winter' range. Image courtesy of IOWSG. 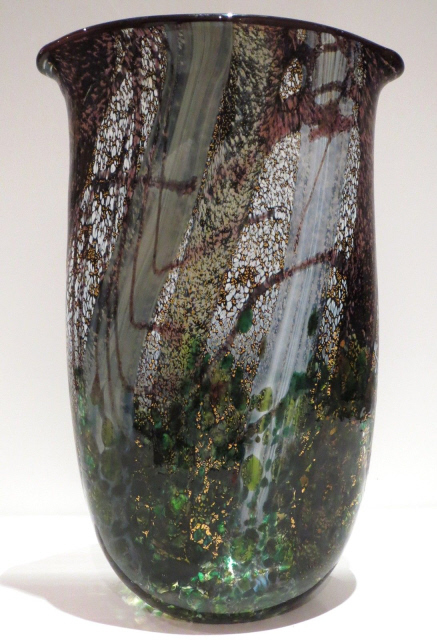 Undercliff Winter vase, 24.5 cm tall, 16 cm wide, 5.5 cm deep. Flask perfume bottle, 15 cm high, 10 cm diameter. This is signed by Timothy Harris 2008 and numbered 44/250. Flask perfume bottles were also available 10 cm high. 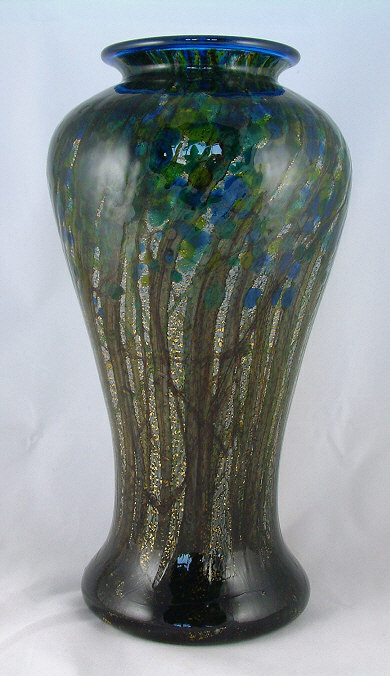 Tall waisted vase, 21 cm high. It is signed 'Timothy Harris Isle of Wight Glass 2007' and numbered 8/100. 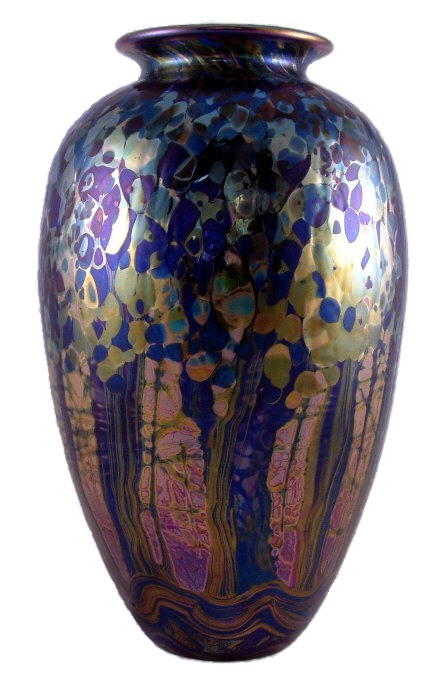 A waisted vase is also available 38 cm high. 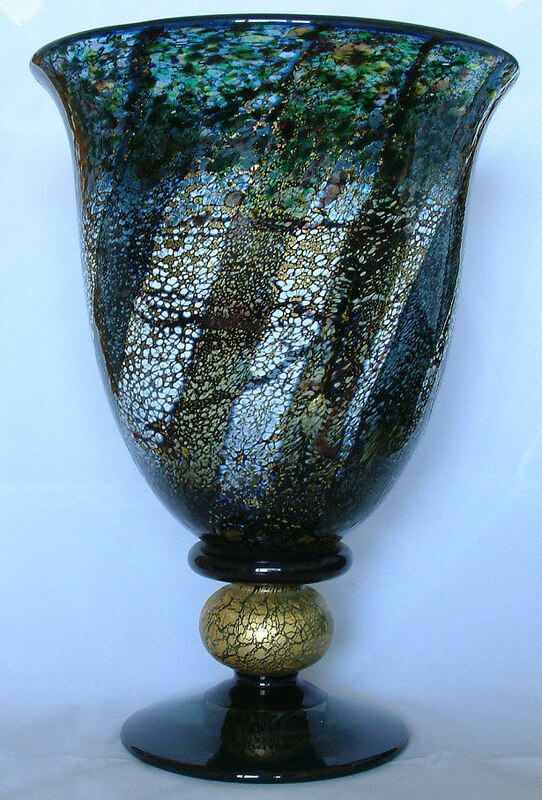 Tall amphora vase, 23 cm high. 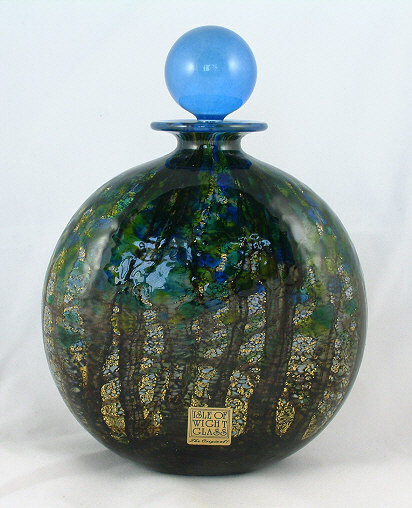 This is a limited edition vase, number 36 of 100, signed by Timothy Harris in 2007. The amphora vase is also available in two other heights: 14 cm (edition size 250) and 17 cm (edition size 250).